In 2018, the Mekong Club continued to grow and to successfully expand its efforts. We consistently engaged the private sector to play a crucial role in the fight against modern slavery and launched innovative projects through strategic partnerships. Our tools and resources have been accessed and used across industries to support education, capacity building and risk assessment on modern slavery. 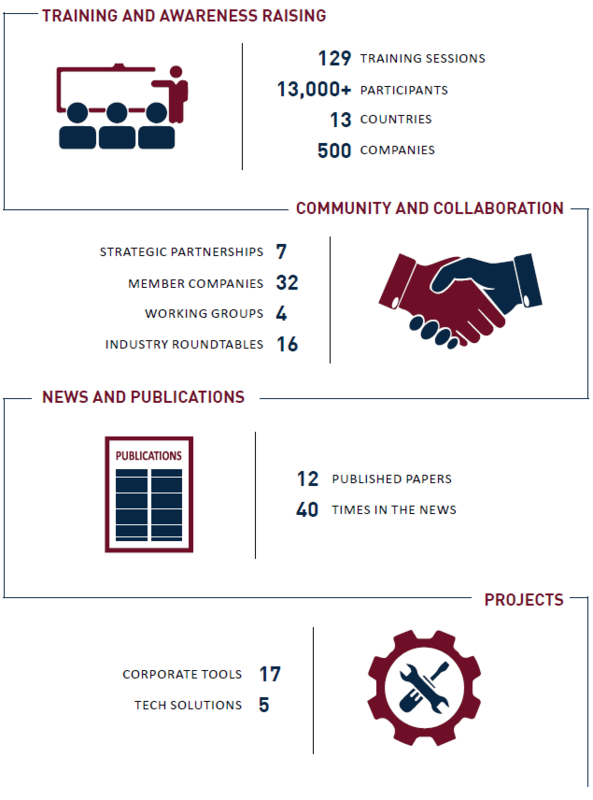 We would like to thank our association members, partners, donors and supporters for their trust in our work and their openness to discuss, develop and experiment solutions to modern slavery. See a summary of our achievements below. Contact us to learn more about our projects, tools and resources and on how to become a member of our business association: info@themekongclub.org.